It is essential that your valuation expert has significant experience in business purchase and sale transactions. No amount of study can replace real world experience. We have been valuing companies and consulting with buyers and sellers through the negotiation process for more than fifteen years. 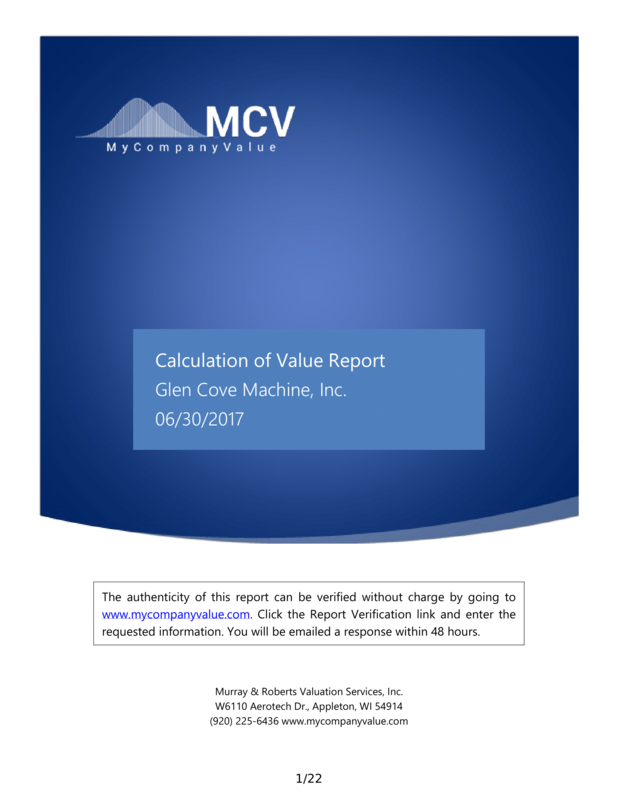 In addition to revealing the value of your business as of a certain date, a valuation report can expose key drivers of value that may help you maximize your company's worth. For example, one company's key driver of value may be the consistency of its earnings stream and the strength of its balance sheet. If management should decide to make an aggressive investment in advertising in an attempt to grow the company shortly before the sale, the company value may actually be reduced by the interruption of cash flows if the benefits of the advertising have not yet materialized. In another case, a company derived a substantial amount of their sales from a single customer. The valuation report exposed the how much company's value was diminished due to the increased risk caused by the lack of a diverse customer base. Company management responded by aggressively targeting new customer relationships. Even though the sales to the new customers were made at slightly lower margins than those to the larger customer, the company's value was greatly increased due to the reduction of risk perceived by investors. After analyzing another company we found its key driver of value was consistent annual growth in sales and cash flows. We advised management to maintain this growth rate. As a result, the company management chose not to sell business units which would have caused total company revenues to fall. Ultimately this company was sold at a price that was principally based upon the company's consistent growth rate. Often a company may have value to a particular investor, or type of investor, that is higher than fair market value. This additional value is called synergistic value, or strategic value. Our experience in merger and acquisition transactions and contacts with corporate buyers and private equity groups helps us identify those strategic opportunities. After those strategic opportunities are identified, we develop a profile of the ideal strategic buyer, estimate the cash flows they would derive from the acquisition, and determine the strategic value based on those additional cash flows. This information can prove to be very valuable in negotiation.